and live by it, TOO. 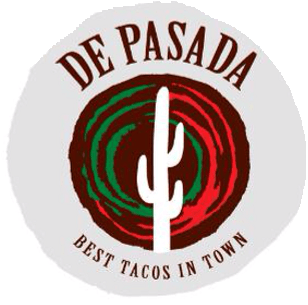 In the early 80s, the Espinoza family opened its doors to the first De Pasada Restaurant in the near north side of Chicago. In the year 2000, we decided to go a little south so more people can enjoy our delicious tacos. We got a place on Taylor Street in UIC university village area. We opened up our doors on September 19, 2000 and became an instant success. We have been serving our costumers ever since. Our Tacos are made with the best quality meats-- our steak is trimmed of its fats and char broiled to its perfect taste. We aren't lying when we say our tacos are the best in town. Come check it out and see for yourselves. We would like to Thank all of our costumers for visiting us over and over again. Without you, we wouldn't be successful.